Phil Neville believes Chelsea need to sack one of their man after his display in the game against United on Saturday. 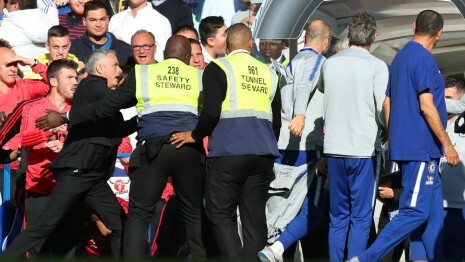 Chelsea coach Marco lanni spark a brawl in the dying minute of the game between Manchester United after he celebrated Ross Barkley's equalizer in front of United coach Jose Mourinho. Marco lanni actually apologized to Mourinho after the game but Phil Neville believes an apology is not enough and what Chelsea have to do is to sack him as his act was an absolute disgrace and is not worthy of a coach. Do you agree with Phil Neville?